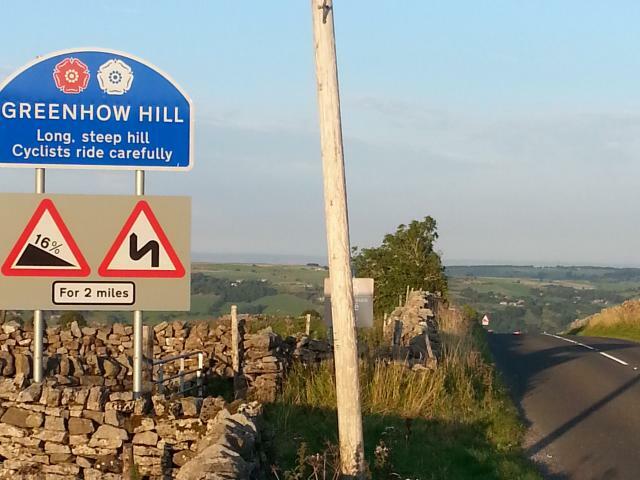 Following 2 fatalities and several accidents involving cyclists on Greenhow Hill, new warning signs have been erected at the top of the hill. Incidents have involved both experienced and inexperienced cyclists. It is a long, steep and winding descent with on-coming traffic so bends inevitably have to be taken tightly and therefore slowly. Sometimes there are potholes and grit that have to be avoided. Even though it flattens out in parts, it doesn't end until you pass the shops in Pateley Bridge and the steepest part is saved until the end. It is essential that brakes are in good condition. Settle is the last place before Greenhow with a bike shop if you need to buy spares or have repairs done. Stump Cross Caverns or Toft Gate Cafe are good places to refuel and check your bikes before the descent. Take extra care when descending in the wet or carrying luggage as this can impair braking. Finally, also remember, thousands of cyclists have descended Greenhow Hill safely. We just want you to be one of them.